White balance is important because it affects how all the colors in a video look. While most white balancing is done before shooting the video, and most cameras have built-in white balance settings, there will be times that your camera will mess up the white balance of the video. While this can be a huge pain, you have two options to deal with the problem. In these cases, you could leave the video alone and deal with the off colors. However, for many videos, you will want to white balance the video with editing. 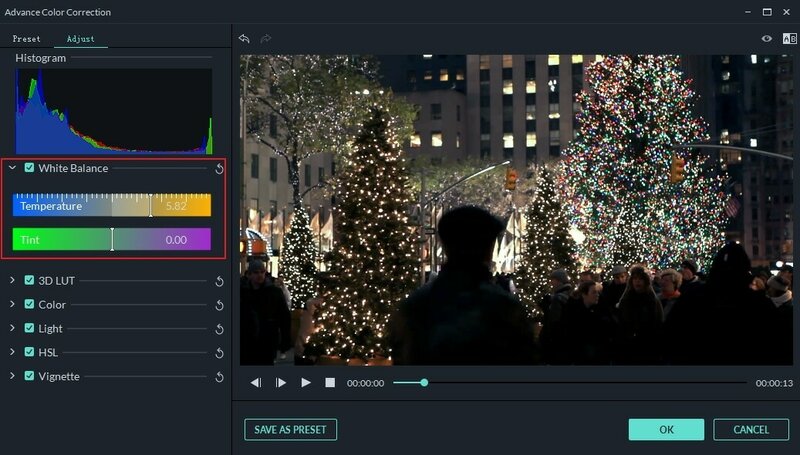 Luckily, correcting the white balance of a video is fairly simple, does not damage the original video, and can be done without having a lot of knowledge of video editors. It also only takes a few hours at the most, and you can do other edits to the video at the same time. How to Fix White Balance Issue for Your Recorded Video? You do not need to have professional editing skills to correct white balance issues. The following steps can fix many white balance issues, and you can do all the work yourself on your computer. A video editor, If you have professional skills in video editing, feel free to use any programs that you have, including Red Giant Colorista, DaVinci, and Picasa. If you are a beginner or looking for a program that’s easier to use than professional editors Wondershare Filmora9 (Latest Filmora version 9) is a great option. The user interface makes it easy to fix the white balance with little to no skills. There are other color options in Filmora9 video editor if you are looking to add a colored filter. You can also save in any format that you want to, or you can directly upload the video to Facebook or YouTube. Below is a guide of how to use the color correction feature in Wondershare Filmora9 video editor to fix the white balance of any video. You can import the video clip using one of two ways. You can select the file after opening the import menu. The other option is to just drag and drop the video into the program. After the video is imported, drag and drop the video into the time line. On the tool bar above the timeline, there is the Advanced Color Tuning Tool. You need to locate and click on the tool. In the Advance Color Tuning Tool’s window, there will be the white balance option on the left side of the window. There is a Histogram that tells you what the color status of the current scene of the video is. Adjust the white balance by dragging the sliders of the Temperature and Tint. If the coloring needs to be warmer, you just need to move the sliders to the right. For most family videos, a warmer white balance makes the people in the video look healthier. If you want a more serious tone to your video, move the slider to the left to make video cooler-toned. You can compare the before and after of your options by clicking on the A/B option. In the same window, there are options for the Saturation, Hue, Light, HSL, 3D Lut, and much more. Select the desired color effects. If you do not want any other color effects, skip to the next step. 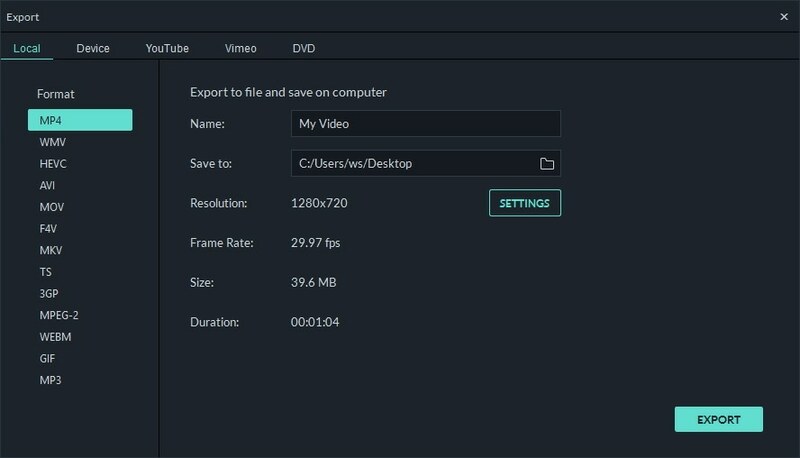 Filmora9 video editor allows you to save the clip in many, different types of video files. You can also upload the video straight to YouTube or Vimeo, or burn the video onto a DVD, or adjust its settings and save it to devices for watching offline as well. Setting your white balance before shooting helps with the amount of editing that you have to do, as you do not need to adjust the coloring later. For most cameras, you can use a presetting for different types of lighting. You will just need to select the type of lighting, and the camera will use those settings. Some cameras have auto white balance settings. Both will work, but can still end up needing white balancing later. The best option is to white balance your camera yourself. You can do this with a white item, in the same light as you will be filming in. Depending on the camera, it could do this itself, or you may have to adjust levels. You will have to do this every time that you change lighting, and before you start shooting, but it does give better results. With Filmora9, you can be more creative. Just download the latest version 9 of Filmora video editor and have a try. Check our tips about How to use white balance card to get perfect color in your shots.